Our My Lady Baptism Gown is one of our newest items. It is ready to ship. Made in fine taffeta, chantue and french lace. 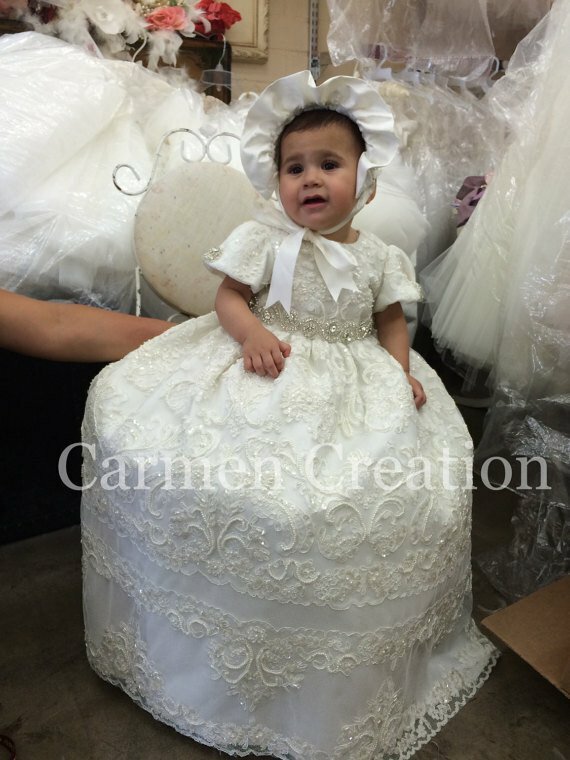 Gown comes with matching bonnet.